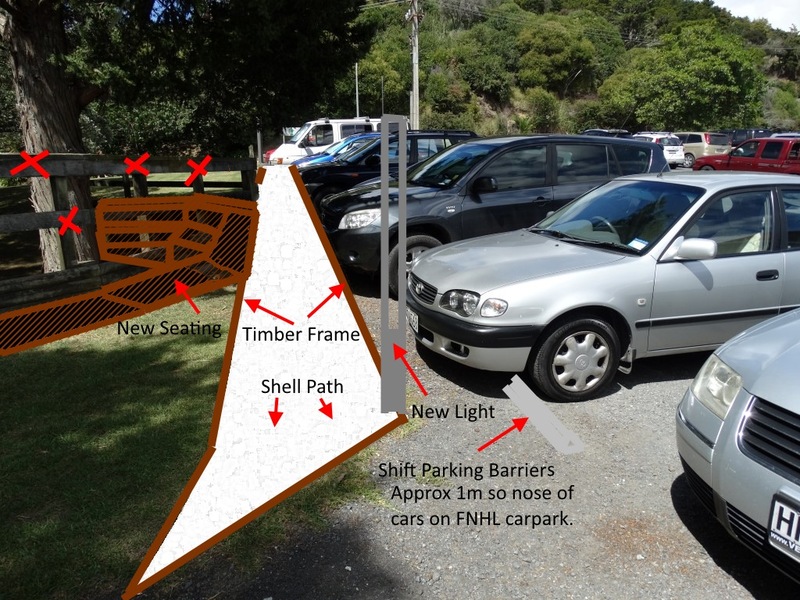 STAGE ONE of this proposal involves continuing a loop track from the the Williams House path running along side the FNHL carpark and joining together with the existing path running along side School Rd. 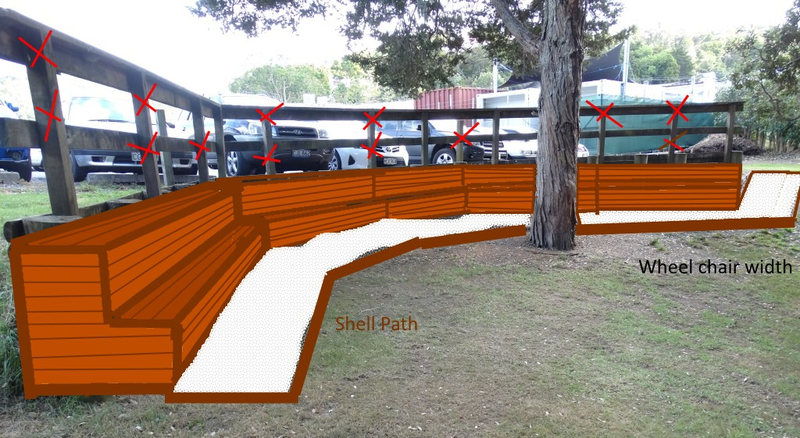 The existing retaining wall will be non-structurally modified into a usable seating area for people to rest or have lunch. It will also involve a tidy up of the steam area on the Williams Reserve removing debris and any rubbish. Craig reports that due diligence is being carried out before this project can progress. When the dates are finalised a call for help will be put out via FP email and FP Facebook. In the meantime any volunteers interested in helping with the building of the seat and path, should contact craigsalmon@gmail.com See below – plans currently being proposed.